Christmas only comes around once a year, and however old we get we have to admit that the festive season never stops being magical. The glittering lights, the smell of fresh pine needles and the wafting scents of cinnamon and allspice from the kitchen; Christmas is a time to be cherished. So why does it sometimes feel like we can’t wait for it to be over? With our busy jobs and hectic social lives, December has a habit of creeping up on us before we’re ready. What’s more, all those bright lights, smells and colourful decorations can feel like an assault on our senses, leaving us stressed and confused when the day finally comes around. Instead of simply “getting through the season”, here are five ways to make the most of Christmas that will leave you full of festive cheer. 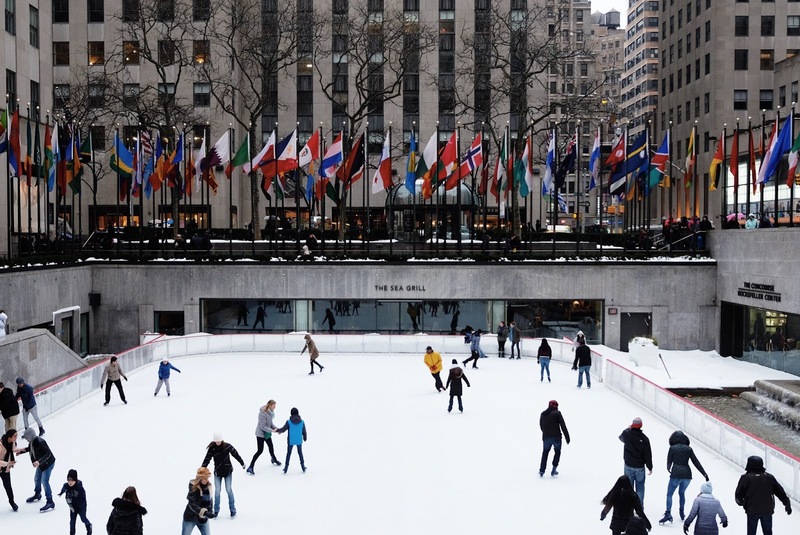 There’s nothing like a spot of ice-skating to chase away the holiday blues. If the dark mornings are bringing you down, head to your local skating rink with your partner or a group of friends and have fun whizzing around the track. Don’t worry if you can’t skate — watching each other stumble and fall flat on the ice can be just as much fun. Just be sure to warm yourselves over a mug of hot chocolate afterwards! If you’re itching to embrace your craftier side this Christmas, then join the online community of December Daily scrapbookers and document the most festive month of the year. The goal of December Daily is to capture the spirit of the festive season with one “story” per day, using photographs, text and other craft supplies arranged artfully in a book you’ll cherish forever. Unless you've lived under a rock for several years, you’ll know how phenomenally popular YouTube has become. Vlogmas is a Christmas tradition embraced by “YouTubers” who vlog (video blog) every day during December. If you like the idea of documenting your life on camera, get started this year by participating in Vlogmas. You can create a fun intro sequence to your channel by using Adobe’s YouTube intro maker, and you’ll certainly make an impression on the vlogging community. Everyone has a favourite Christmas film (be it Elf, Love Actually or It’s a Wonderful Life), and when it comes to these movies, there are just too many classics to choose from. Luckily, you don’t have to pick just one. For the ultimate Christmas film marathon, invite some friends over, put on your onesies and settle in front of the TV with a giant bowl of popcorn, and you can each take it in turns to choose your favourite seasonal film. Above all, remember that the festive season is a chance to spend time with loved ones, not a time to be stressing over buying gifts or baking the perfect mince pies. Do more of what you love this year and approach Christmas mindfully. Before you know it, January will be here once again, and you’ll have to wait another year to crack out that festive jumper.